The best way to prevent problems with an air conditioning system is to have the system maintained on a regular basis – before problems develop. But sometimes even regular AC service can’t prevent malfunctions. At Logan Home Energy Services, we know how miserable it is when you need air conditioning repair and summer is in full force. Should this happen to you, we're just minutes away from our home or business, and with just one phone call we can be on our way to you. Logan Home Energy Services has a team of licensed, NATE-certified HVAC technicians with the tools and knowledge to fix all cooling system makes and models. With advanced diagnostic tools, years of hands-on experience, and a truck full of replacement parts, we can get your AC system back on and cool down your property quickly and efficiently. 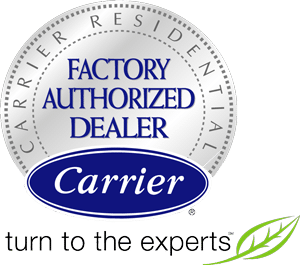 We provide expert, fast-response air conditioning repairs for homeowners in Greensboro, Winston Salem, High Point and nearby areas of North Carolina. Contact us today to schedule your HVAC service appointment! Logan Home Energy Services has an experienced team of licensed and certified technicians to perform all repairs on your air conditioning system. Ignoring any problems with your system, and not performing necessary air conditioning maintenance, can cost you more money in the long run, shorten the lifespan of your cooling system, and can mean having to replace your system sooner. Don't ignore the signs of an air conditioning problem. Call your local air conditioning contractor today at 1-844-385-9758 or contact us online to schedule an AC inspection in Winston Salem, Greensboro, High Point, Lewisville, Clemmons, Kernersville, Oak Ridge, Walkertown, Colfax, Pfafftown and nearby.